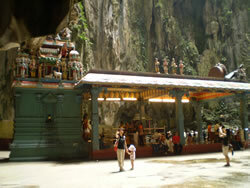 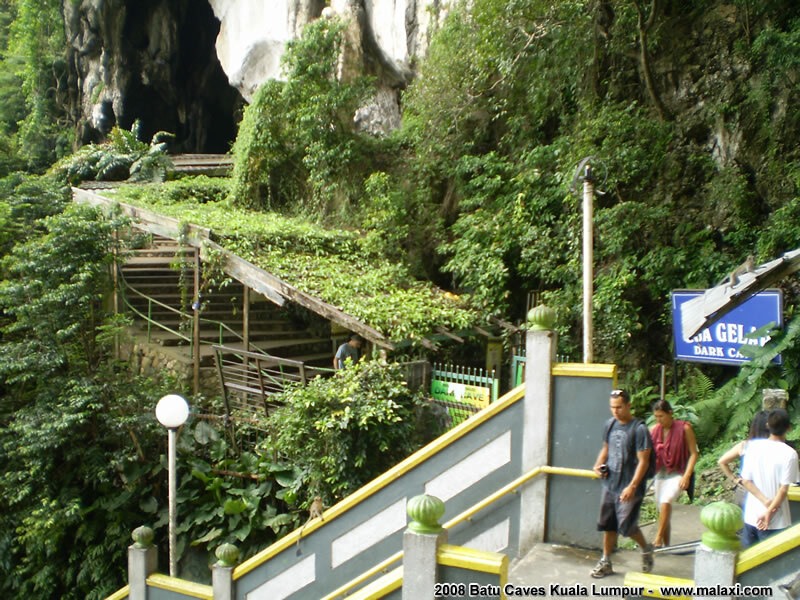 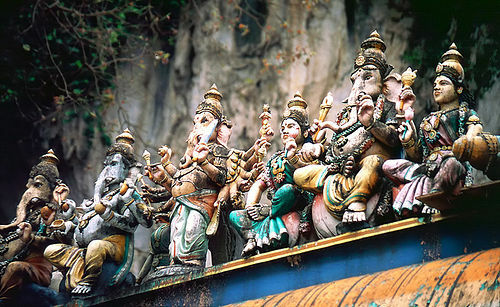 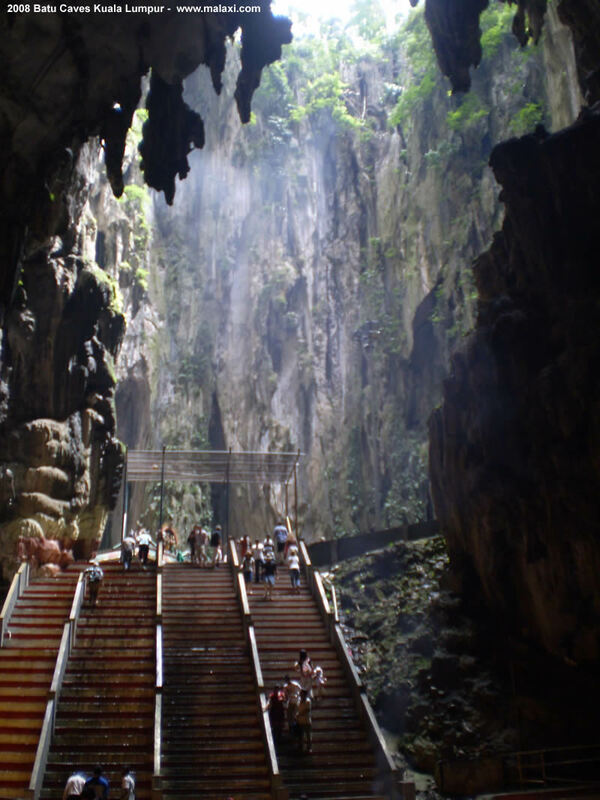 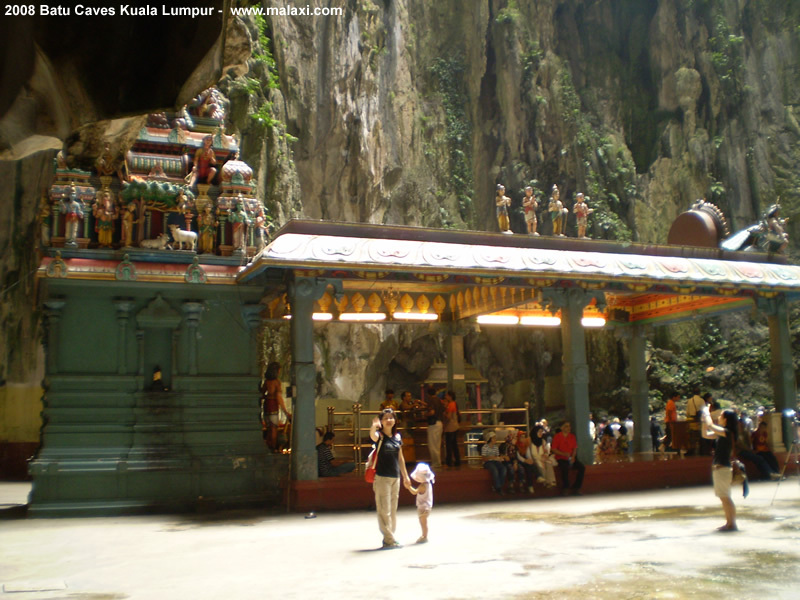 Batu Caves is one of Malaysia's most famous tourist destinations. 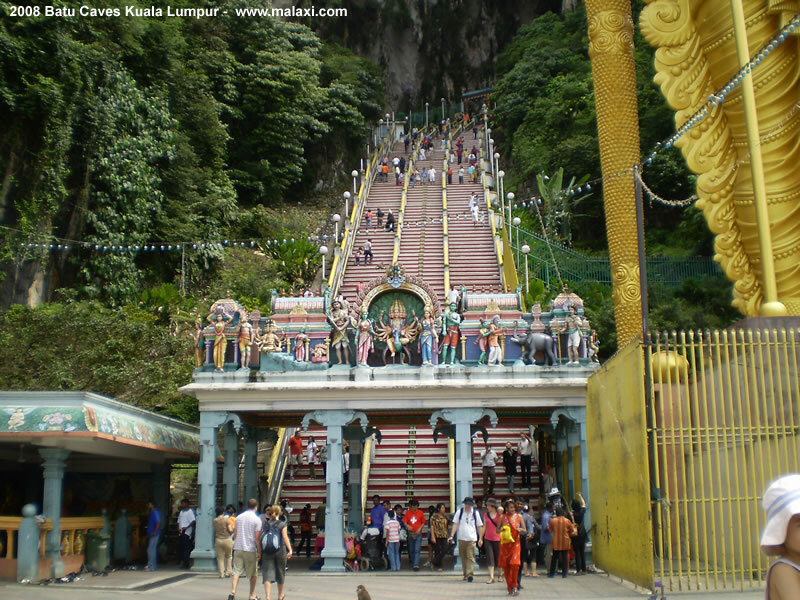 Every year hundreds of thousands of Hindu devotees congregate here for the colourful Thaipusam festival. Batu Caves is one of Malaysia's most famous tourist destinations especially for the colourful Thaipusam festival. 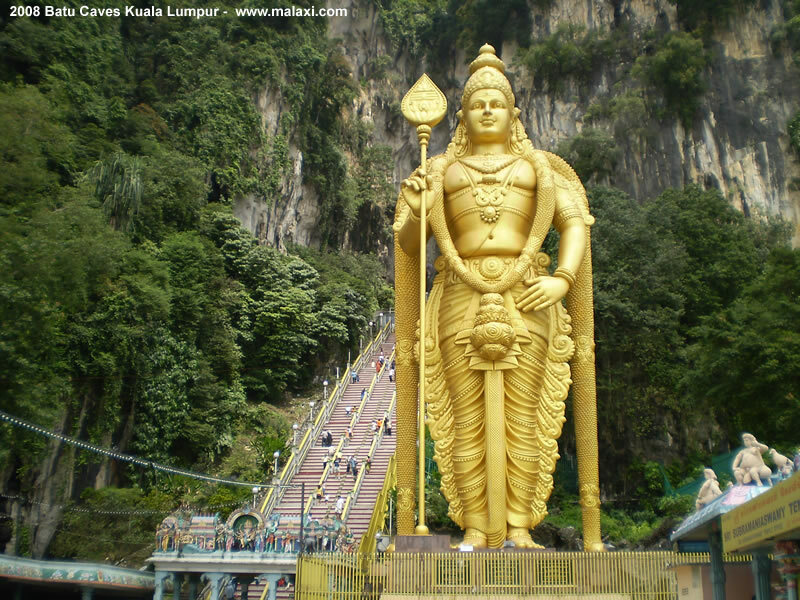 This attracts up to 800,000 devotees and spectators; the highlight is seeing devotees in a trance carry kavadi , a metal frame attached to the body. 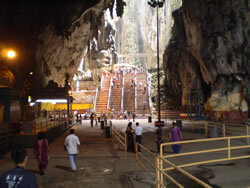 Rising almost 100m above the ground, Batu Caves actually consists of three main caves and a few smaller ones. 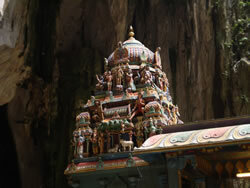 The biggest, referred to as the Temple Cave, has a 100m-high ceiling, and features ornate Hindu shrines. 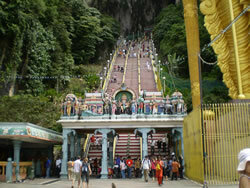 To reach it, visitors have to climb a steep flight of 272 steps. 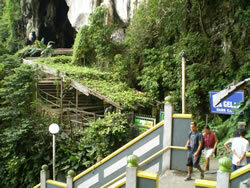 Below the Temple Cave is the Dark Cave, with its amazing rock formations and a number of animals found nowhere else. 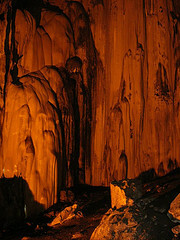 Stalactites jutting from the cave's ceiling and stalagmites rising from the floor form intricate formations such as cave curtains, flow stones, cave pearls and scallops which took thousands of years to form. 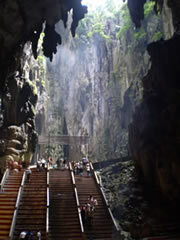 The Malaysian Nature Society organises regular educational and adventure trips to the Dark Caves . 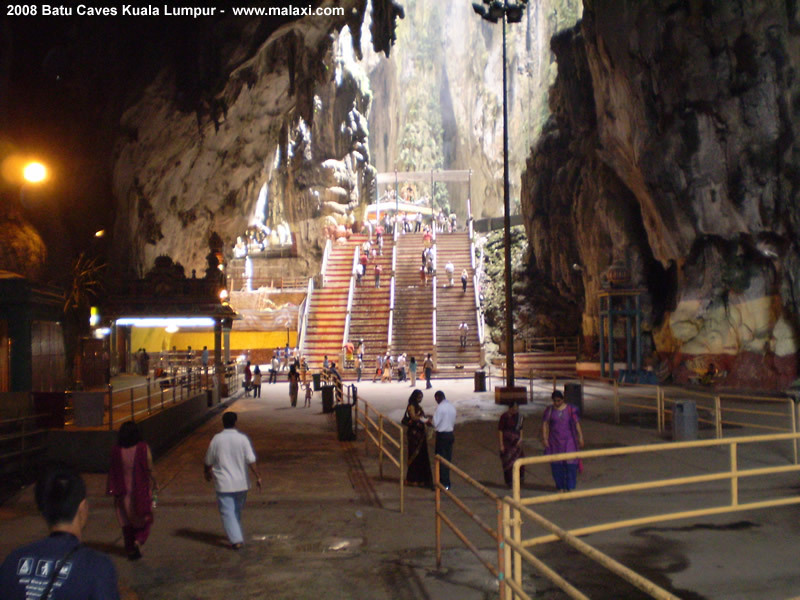 The Batu Caves were discovered in 1892. 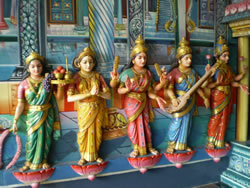 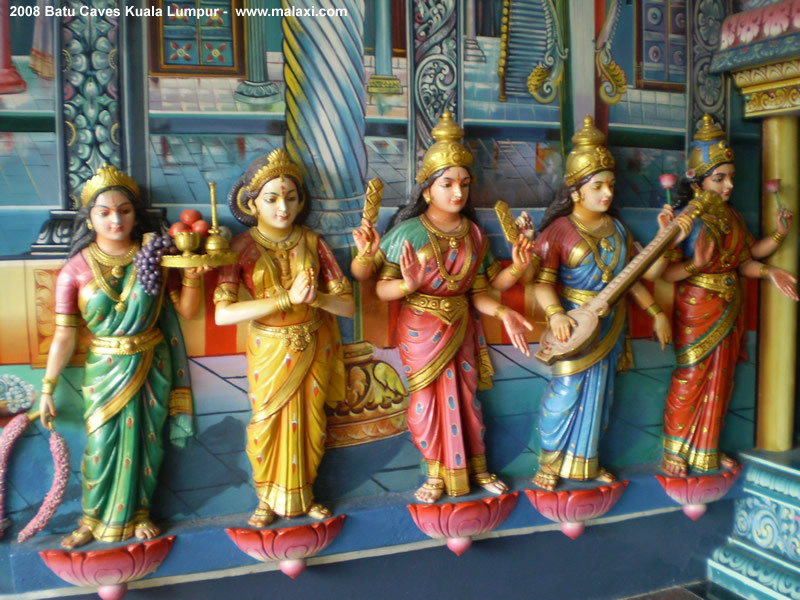 When Hindu devotees set up a shrine to Lord Murugan, it began to attract many pilgrims. 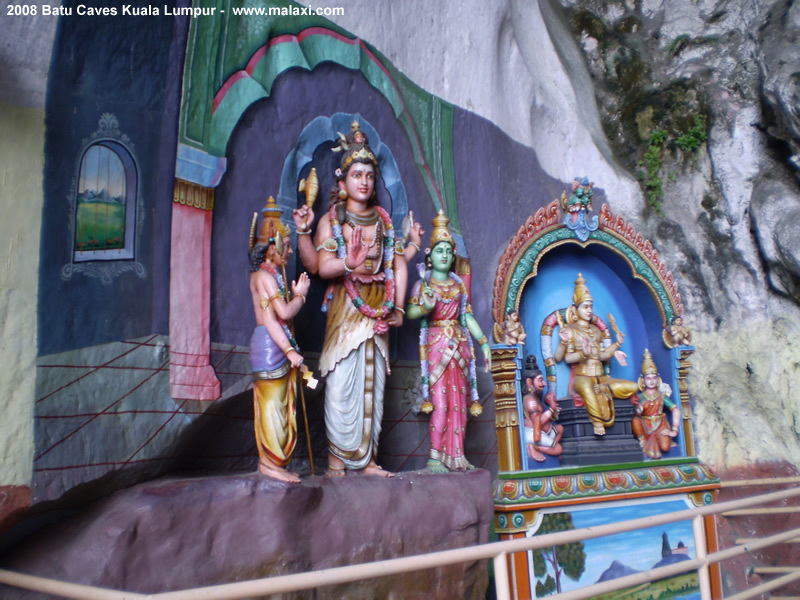 Most come for the Thaipusam festival that celebrates two events: the birthday of Lord Murugan, the son of Lord Siva and his wife Parvati, and Lord Murugan's defeat of the evil demon Soorapadman with the aid of a powerful lance given to him by his mother. 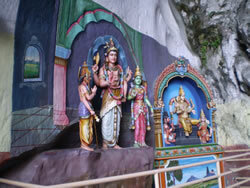 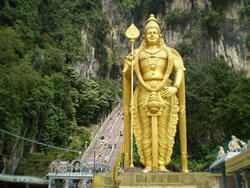 Others come to see the 42.7m tall statue of Lord Murugan, and the cave decorated with images of Hindu deities.